Two short documentaries in English make for good introductions to the Palio, if you'd rather watch then read your way into Siena's fascinating horse race. 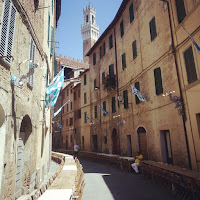 A video on Guardian Travel gives a first idea of the dynamics behind Siena's longstanding and world famous event. 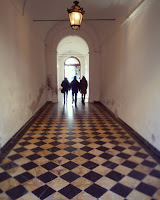 The short film concentrates on the strong connection of Siena's population to their respective contrada (neighborhood) and the intense emotions the contradaioli (the people from a specific neighborhood) live through during the four days around the July and August palios. The Guardian video also features a short interview with Luigi Bruschelli (called Trecciolino), who is one of the most successful jockeys of all times (he has won 13 Palios so far and is still going strong). 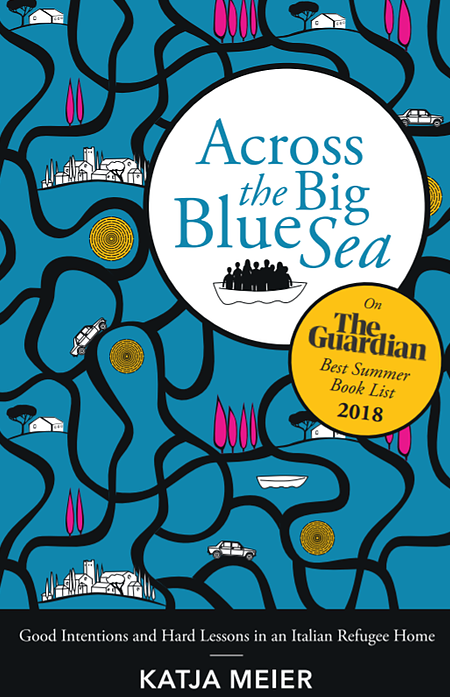 Click through to the Guardian Travel website to watch the film. Another introductory video to the Palio has been made by American Kenny Mayne of Wider World of Sports. It provides sound insight into the historic background of the Palio, the preparation of the race track on piazza del Campo, the importance of the drawing of the horses (the tratta on the first of the four Palio days), the ensuing search for a suitable fantino (jockey) and the blessing of the horse. The video also shows moments of contrada life before the Palio and explains some of the tension between enemy contrade via the example of Leocorno (unicorn), who's the rival of Civetta (owl). If anything it may be a little hard to listen to Kenny if you're not American... but thank god the bloke has self-irony. 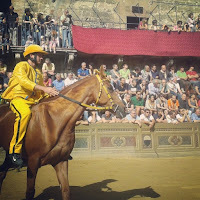 The Palio is run twice a year on the 2nd of July and the 16th of August. Check the timing of the race and the six trial runs on the official Palio website. Got into the vibe? Learn the colors and symbols of the participating contrade of the August Palio 2013.